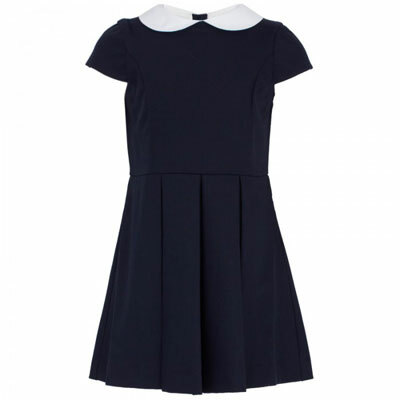 It certainly doesn’t come cheap, but this Oscar De La Renta Navy Pleat Peter Pan Collar Dress comes with plenty of style. 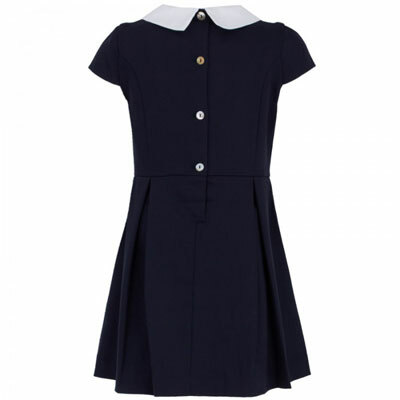 Very much in a 1960s style, the dress is made of a wool blend and predominantly in navy, with box pleats falling from the waist, a white Peter Pan collar and capped sleeves, finished with mother of pearl buttons at the reverse. It is available for ages four through to 12 years, selling for £163.